This 2.00 Ct. 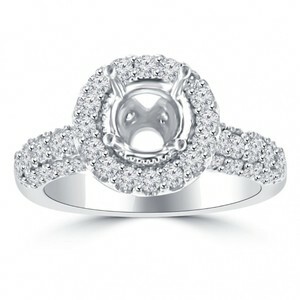 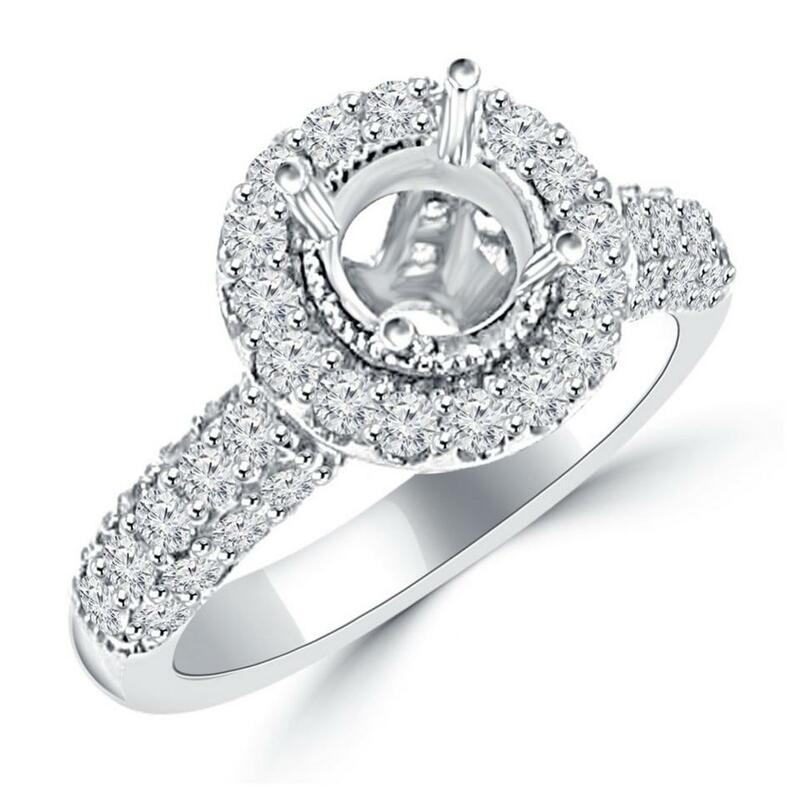 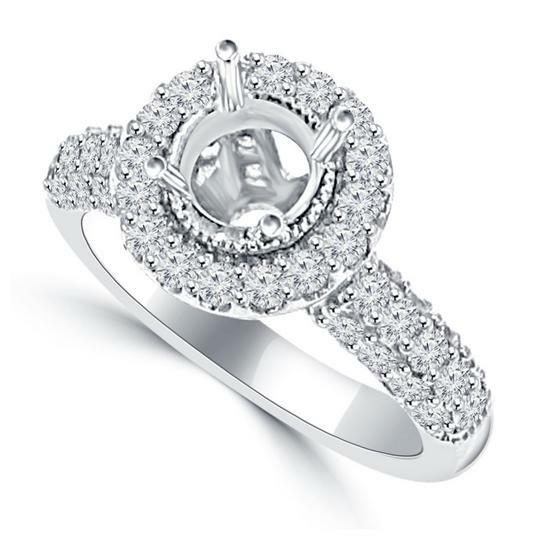 Round cut diamonds surround the center stone and flow down the shank to create a dramatic flair. These side diamonds ranges in clarity from SI-1 and G color grade. 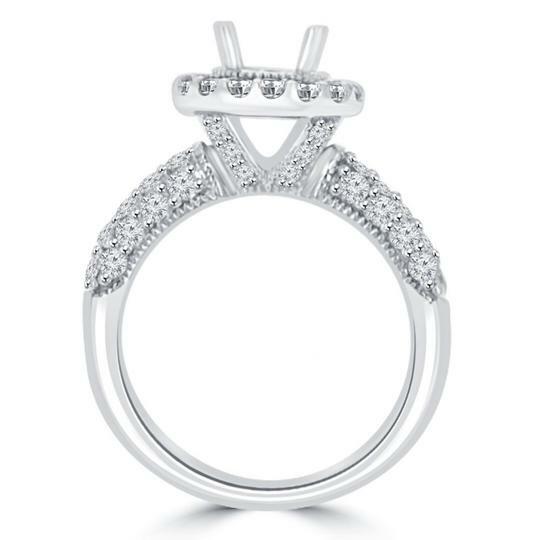 This inspiring piece carries a total diamond weight of 2.00 Ct. and is available in 14K white or yellow gold or 18K white or yellow gold or platinum.